Taking the guesswork out for everyone!! 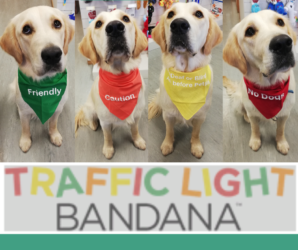 Traffic Light Bandanas are used to make everyone aware of what kind of temperament a dog has. By having your dog wear one of the bandanas while out on walks, you will indicate to people whether it is safe for them (or their dogs/children) to be in close proximity of your dog. Yellow: I’m deaf or blind, ask before petting. At only $8 each. Its a bargain! Come on into the clinic to purchase one. Helen Snook started at MVS in 2011 as our receptionist and senior administrator and for many years was the first friendly voice you would hear when you phoned the clinic. A couple of years ago she transitioned across to the Financial Administration role and has been a huge asset to the company with her attention to detail and vibrant personality. We have loved following Helen in her theatrical performances, especially in her most recent role as the lead in Dusty Springfield. 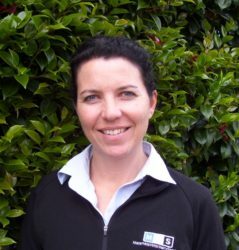 Helen has been a key member of the MVS Family for over 7 years and we wish her all the very best in her relocation to Taranaki. 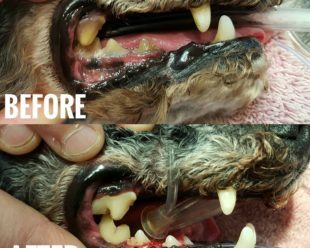 Over the next two months MVS will be focusing on dental awareness for your pets. Up to 80% of dogs and 70% of cats suffer from dental disease by the time they’re 3 years old. If left untreated dental disease can affect their general health and wellbeing. During the months of August and September we will be running FREE dental checks and every dental booked will receive a FREE dental kit goodie bag to help your pets maintain their toothy grin. Please call the clinic on 07 888 8197 to book in your pets FREE dental check! Are The Winter Blues Getting Your Pets Down? 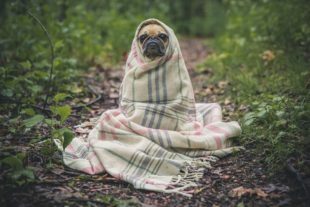 Just like us, our pets experience a few winter aches and pains and love to be cozied up in a warm environment when it’s cold out. This cold weather can be hard on our pets and especially difficult for older or overweight animals that may be struggling with joint pain and arthritis. If you are noticing your pet sleeping more, struggling to get out of bed or looking a little stiff during the day then it may be time for them to get a check. We’d also like to wish farmers all the very best on Gypsy Day. We hope the transition between farms for you, your family and your stock goes smoothly. Yesterday the Ministry for Primary Industries (MPI) announced that a new strain of Rabbit Calicivirus (RHDV2) has been detected in a wild rabbit in Marlborough. It is not certain that this viral strain is confined to Marlborough.. Please note this isn’t the strain RHDV1-K5 that was purposefully released nationwide in March this year. 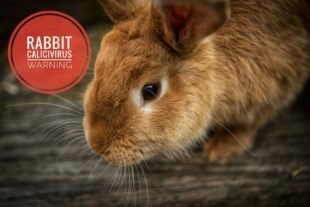 This strain of Calicivirus is known to cause disease in very young rabbits from 4 weeks of age and can cause a longer severe illness than seen with other strains. This strain is highly infectious. Controlling insects (especially flies and fleas) as much as possible both indoors and outdoors. Flies are the main vector through which the virus is spread. Remove uneaten food on a daily basis as to not attract flies. Keep pet rabbits indoors where possible. Rabbit-proof backyards to prevent access by wild rabbits. Regularly decontaminate equipment and materials (eg. cages, hutches, bowls) with either 10% bleach or 10% sodium hydroxide. Leave for 10 minutes, then rinse off. Limit contact with and handling of unfamiliar pet rabbits. Take special precautions if attending any events where unfamiliar rabbits are present, such as petting zoos, rabbit shows and rescue centres. Use good biosecurity measures (eg. wash hands, shoes and clothing) after handling other people’s rabbits. Isolate new rabbits for 7 days before introducing to other rabbits. Rinse all leafy greens well before feeding them to rabbits. While feeding rabbits leafy greens remains a risk for introducing RHDV2, the benefits of feeding these is considered to outweigh the risks. If you have any suspicious deaths of pet rabbits please let us know so we can help MPI determine how far this disease has spread. There is a process underway to import a vaccine that specifically protects against this strain but only 1000 doses are likely to be available and they will be distributed by MPI only. The vaccine we have that protects against RHDV1 may provide some cross protection to the RHDV2. A protocol has been recommended that begins vaccinations at 4 weeks of age and continues with ongoing 6-monthly boosters. If your rabbit is at high risk from calicivirus infection you can consider this protocol. Please contact us on 07 888 8197 if you wish to discuss this further. 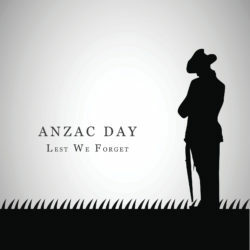 The clinic will be closed on 25th April to observe ANZAC Day. A duty veterinarian will be available on 07 888 8197. 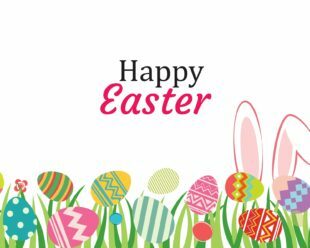 We will reopen at 8.00am Thursday 26th April. 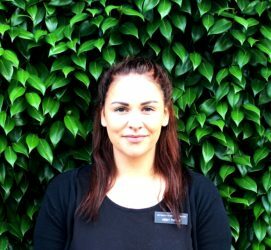 Abby joined MVS this month as our Retail Manager. 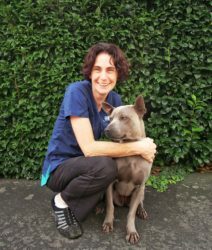 She graduated from WINTEC in 2011 where she gained her vet nursing diploma. 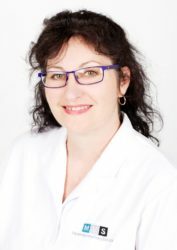 She then relocated to Western Australia where she worked in a mixed animal clinic vet nursing and continued travelling up north to experience outback nursing in a small animal clinic. She then finished her Australian travels in Perth at a small animal hospital before moving back home to Matamata in January 2017. Here she started in an administration position with Bayleys Real Estate covering advertising, social media and sales support. Abby’s experience in both the veterinary industry and in sales made her the natural choice to manage our Retail department. She brings with her skills of innovation and beyond to our valued customers. 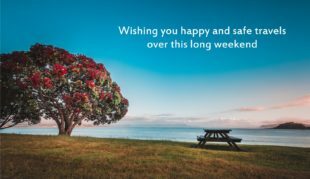 Outside of work Abby enjoys spending time with her daughter and family on their Richmond Downs farm, working on an ever expanding vegetable garden, reading and spending time at the family beach house in Pauanui. Abby has recently made an addition to the farm with a MVS rescue kitten called Pablo. 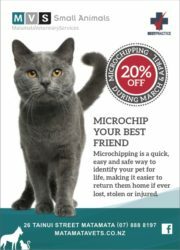 20% Off Microchipping In March & April! Many pets go missing each year, ending up in shelters, with the SPCA or at veterinary clinics. Without any form of identification it can be very difficult to return the pet to its owner. 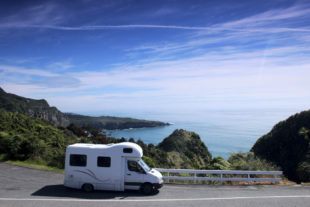 We know of pets that have ended up as far away as New Plymouth and the Hawkes Bay after getting into vehicles, which makes finding the owners even more difficult without permanent identification. MVS strongly recommends microchipping your pet to provide permanent identification, provide protection against loss, and even enable specific activation of pet doors/food bowls to your pet. To show our support and get as many pets microchipped as possible we are providing a 20% discount for the months of March & April 2018. Contact the clinic on 07 888 8197 to take up this great offer! Summer has arrived in New Zealand and we couldn’t be happier! 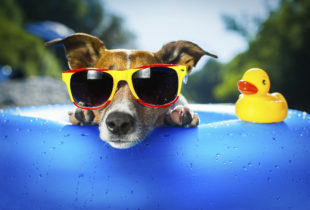 We all know how to be sun savvy so let’s apply that knowledge and keep our pets safe. Heat Stroke is a very real and life-threatening issue for your pet. Our pets overheat when panting and pad sweating can’t keep them cool enough, which can lead to organ malfunction or failure. Flat faced (brachycephalic) breeds of dogs and cats are more susceptible to heat stroke, so be extra vigilant with these breeds. 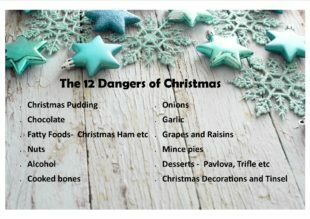 Although many of our foods and beverages at Christmas may be harmful to pets, we can still surprise them with pet-friendly festive treats! Try these at home and let us know what your furbaby thinks! 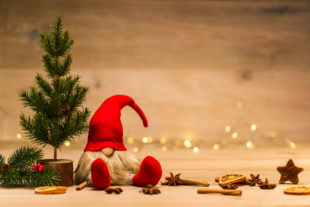 Contact us on 07 888 8197 if you have any concerns to ensure a safe and happy Christmas for all. Slice 2 apples into small pieces, removing the seeds and core. Blend the apple slices, yoghurt and a splash of water in your blender until you get a liquid consistency. 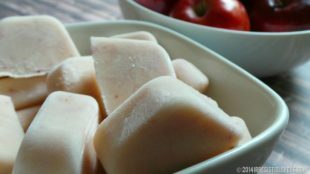 Pour the mixture into an ice cube tray and freeze for a few hours, or until hard. Mix together flour, peanut butter and eggs until slightly combined. Add in one Tbsp of water at a time until the mixture becomes wet enough to roll out as dough. Roll out dough and cut your favourite shapes with some cookie cutters. 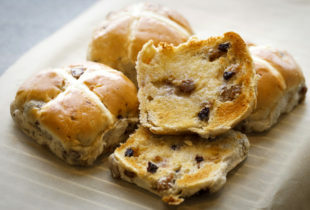 Place treated onto baking paper and cook for 15 minutes. If your pet is on a strict veterinary diet, try moulding their wet food into fun shapes and either baking in the oven, or freezing for a treat on a hot day! We don’t want them missing out on the celebrations. 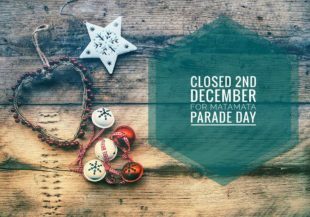 Matamata Veterinary Services will be closed on Saturday 2nd December 2017 as our staff will be participating in the Matamata Santa Parade. The parade will commend at 11.00am on Broadway and our team will be sporting a fabulous float. Pop on down to the parade and support our great community. Our veterinarians will still be available for emergencies on 07 888 8197. Spring has spring and so have skin problems! These allergies are most commonly seen in Spring/Summer. It can be an airborne allergen such as dust mites or pollen, or even grasses that cause skin reactions. The symptoms include: excessive scratching, rubbing on the carpet, hair loss, greasy or flaky with a foul odour, excessive chewing and itching of the paws, groins and armpits. Although most pets react to flea bites by itching, some cats and dogs develop a hypersensitivity to flea saliva. Just one bite can result ion excessive itching, licking, chewing, thickened skin and fur loss. 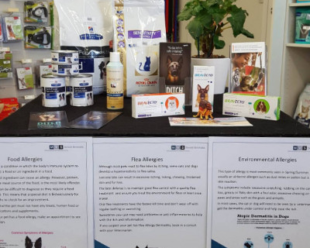 The best defence is to maintain good flea control with a quality flea treatment and ensure you treat the environment for fleas at least once a year. A food allergy is a condition in which the body’s immune system reacts adversely to a food, or an ingredient in a food. Any ingredient can cause an allergy. However, meat-sourced protein is the most common offender. Food allergies can be difficult to diagnose as they require a food elimination diet. This means that a special diet is fed exclusively for at least 3 months to check for an improvement. While on this trial the pet must not have any treats, human food or flavoured medications/supplements. 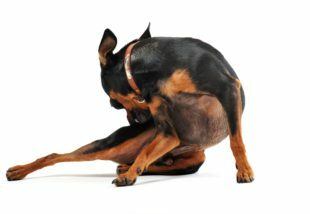 Let us help manage your pet’s itch…. Call us on 07 888 8197. The large animal counter will be closed from 5pm on Friday 20th October until 8am on Tuesday 24th October 2017. The small animal clinic will still be open from 10am until Noon on Saturday 21st October, but then closed until 8am on Tuesday 24th October 2017. The time of year is fast approaching where the daffodils are out, the days are getting warmer, the lambs are skipping around paddocks and … the kittens will start arriving in droves! All going well, these kittens will stay with their mum right up until weaning, so feeding habits, toileting and socialisation are well under way by the time the kittens go to their new homes. Unfortunately though, some circumstances do not allow for this and we may find ourselves having to step in and care for these little guys, termed “neonates. 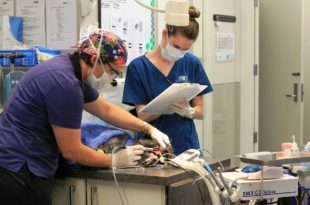 Neonatal and infant kittens do require A LOT of care, especially in the first 0 – 6 weeks and one does need to be aware that there is always potential that one or more kittens may not survive. However, by implementing a few simple strategies we can do our absolute best to give them every fighting chance to make it through! Warmth: Kittens need to be kept warm. In the wild they have their mothers and siblings to snuggle so we need to replicate this. Keeping them in a box or carry cage with blankets in the bottom and one draped over the top is ideal as it will stop any draughts reaching the kitten/s. Hot water bottles with a protective cover are fantastic at providing warmth, as long as they are changed regularly so they don’t go cold. There are “snugglesafe” discs available that you heat in the microwave and stay warm for up to 8hrs which are very effective, especially for lasting during the night! Care just needs to be taken that the kittens have enough room to be able to move away from the heat source should they get too hot. If you are raising a single kitten, providing them with a fluffy teddy or an old woollen scarf to snuggle into can go along way to help them stay warm. 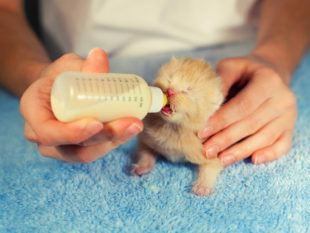 Feeding: Neonates will need regular feeding with a milk supplement formulated specifically for kittens. Their nutritional needs are entirely different from that of a cow and human so their milk needs to reflect this or it could effect their development and health. Kitten milk from the supermarket is not designed to be a sole diet for neonates so a milk powder formula is ideal to start with. The kit we use here at MVS comes with powder, measuring scoops AND feeding bottles so is ready to go. *This is a guideline only and will vary depending on which brand of milk replacer you are using. Ideally neonates need to be fed with a bottle, not a syringe. This reduces the chance of accidentally forcing milk into their lungs rather than stomach. The kitten should be supported in one hand and the teat of the bottle placed in the kitten’s mouth, gentle pressure can be applied to the teat to aid milk flow. The kitten should latch its tongue around the teat to suckle and once full will show disintrest and may fall asleep. If the kitten is not latching well, not suckling strong or just seems weak or lethargic contact the team at MVS. Toileting: In the wild the mother will clean the kittens after feeding, thus stimulating them to go to the toilet. Once again, we need to replicate this! Once the kittens have fed, take a warm, damp swab or soft cloth and gently wipe around their bottom, they should then go toilet! It is also good practice to wipe around their bottoms and their hind legs after toileting to prevent urine scolding. Vaseline can be applied to this area if they are getting a bit red. Toileting is best done away from their bedding so as not to dampen it, and bedding needs to be checked and changed regularly in case kittens toileting on it. 2. Drop small treats near the crate, then just inside the door, and finally, all the way inside. You can also use your dogs favourite toy if they aren’t treat orientated. 3. Continue this step until your dog walks calmly all the way in. 4. Next, close the door and treat the dog. Slowly increase the amount of time the door stays shut before your dog gets a treat. 5. Now you can try to leave the room with your dog in the crate and again slowly increase the period of time that you are gone. 6. By this stage your dog should be fairly relaxed in the crate and you can start to leave them for longer periods of time. · Work slowly in stages to get the dog used to the crate. It can take hours, days or weeks depending on the dogs past experiences. · A hot water bottle or ticking clock under their bed can also help ease them during their first few nights as this will stimulate the warmth and sound of sleeping with their litter mates. Game #1 The Magical Crate of Treats and Toys! This is an easy first exercise. When your dog isn’t in the room place a few treats in their crate, this could be replaced by a favorite toy, peanut butter kong, etc. Let your dog discover the treat on their own. They will learn the crate isn’t scary, it’s the bearer of delicious fun! Leave the door open the first few times you do this. If your dog seems happy and secure in the crate close the door for a few seconds, while he is happily munching, then open to allow him to exit. Once your dog is entering the crate on his own you can move on to more interactive games. 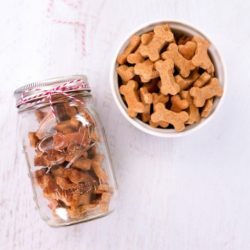 Get a large amount of small treats ready and begin by tossing one into the crate. Let your dog enter on its own, do not coax or force the dog into the crate. Once the dog enters immediately praise them, after they eat their treat call them back to you and then throw another treat into the crate so they will re-enter. Repeat this process for 5-10 minutes. Remember to stay positive and pay attention to your dog, if they are getting bored with the game be sure to give them a break, you can always play again later. After your dog is comfortable retrieving treats in the crate it’s time to add to Game #2 by closing the door for short periods of time. Start by tossing a treat in. Fido will enter to retrieve the treat, now close the door for 2-3 seconds. The goal here is for your dog to stay quiet and calm, we don’t want to close the door for too long or they may bark, whine or scratch at the door. If they do any of these things and we open the door we are reinforcing bad behavior. “If I just whine a bit, they open the crate door…” So keep it brief and slowly add a few more seconds to each training session. This is an incredibly easy exercise that I have used for all of my foster dogs. Simply feed your dog their meals in the crate. I start with the door open but usually after a few days you’ll notice the dog is so excited about dinner time that they won’t even notice if you close the door. If you do close the door be sure to stand by and open it before they finish their meal so they can exit freely. Game #5 No Bolting, Please! We want our dog to exit their crate gracefully and calmly. Once a dog is comfortable being crated, with the door closed, you can teach them to exit calmly. The easiest method I’ve found is simply closing the door when your dog tries to bolt. Toss a treat into the crate. When your dog enters, close the door. Now open the door. If your dog stays put then praise them and give them a treat. If they begin to move forward, close the door. Wait until Fido has settled down again and open the door a few inches. If he moves forward, close it. If he stays put open it a bit wider, and wider, until you can give him a treat. Then call him out of the crate, or better yet assign a release word such as “ok” “release” “break” or any other word that you use for releasing your dog from other commands such as sit and stay. If you are unfamiliar with release words then give it a Google! Release words make training much easier! Repeat this exercise for 5-10 minutes at a time. 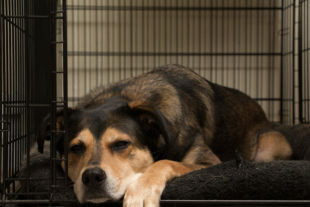 It won’t take long for him to realize that bolting out the crate isn’t ok.
Once your dog is comfortable entering the crate, and when you close the door for a few minutes at a time, you can begin rewarding relaxation. Remember, one of our goals is to make the crate the dog’s calm, safe place where they can sleep/relax. Toss a treat into the crate and give your dog their command to lie down. Praise and treat. Do not release the dog from their down. Wait for cues that the dog is relaxed, these include: sighing, rolling onto it’s side, stretching, yawning, licking their lips, resting their head on their paws, and even blinking. Praise them every time they do one of these things, try not to use large treats or excitable praise, just a calm “good” or “yes.. After they have relaxed, and you have praised them, you may give them their release word. Could your pet have Dental Disease? Unfortunately, most adult dogs and cats have dental disease. Imagine if you didn’t brush your teeth for days, weeks or months. In fact veterinary research shows that 87% of dogs and 70% of cats show signs of oral disease by the time they are three. How do pets get dental disease? Dental disease begins when bacteria in the mouth form a substance called plaque that sticks to the surface of the teeth. Subsequently, minerals in the saliva harden the plaque into tartar, which is firmly attached to the teeth. The real problem develops as plaque and tartar spread under the gum line. Bacteria under the gum-line set in motion a cycle of damage to the supporting tissues around the tooth, eventually leading to loss of the tooth. This is a painful process for the animal. If there is visible tartar on your pet’s teeth, then a professional scale and polish will be required to remove this. This is done under general anaesthesia. 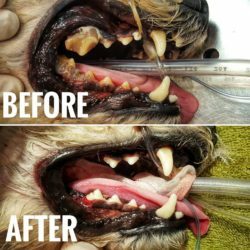 Once a professional clean has been performed there are some home care options that can improve your pets overall dental health. Dental diets – These help to mechanically remove plaque when the animal chews on the biscuit (like tooth brushing). 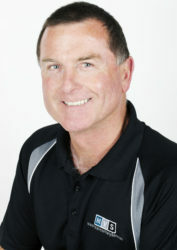 They also contain agents that help to trap calcium in the saliva and stop it from fixing onto the plaque. These calcium-binding agents are found in most toothpaste – Dental diet technology provides 25 – 30% scaling and polishing efficiency. Tooth-brushing – brushing your pet’s teeth once-twice daily provides 70% scaling and polishing efficiency. Regular professional scale and polishing. Some animals require this annually, whereas others may only need a professional clean once/twice in their entire lifetime. 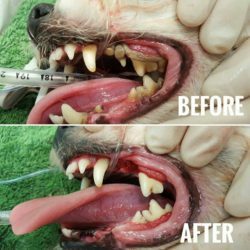 This month to help support your pets dental health if you mention our e-bulletin, Ad or Facebook post you will receive 10% off your pets surgical dental treatment. We would like to introduce Sarah Harper, our final member to take the small animal vet team up to three full-time equivalents. Sarah has recently returned to New Zealand after spending time travelling and working in Europe. She and her partner Max have moved to Matamata where they are contract milking. Sarah enjoys medicine and looks forward to working with our clients. Sarah will job share with Kylie, working two days a week, while Kylie works the other three. The addition of Sarah completes our refreshed small animal vet team lineup, joining Susan, Alice and Kylie. We would like to introduce to you Cynthia Boyde, who joined MVS in May as part of our Dairy Administration team. 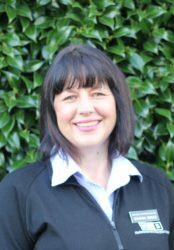 Cynthia has a wealth of knowledge and experience in all aspects of administration and customer services, with a keen interest in the Dairy industry. She will often be the first person you speak to when you call the clinic and she also oversees the Dairy vets to ensure that they get to every call on time. In her spare time Cynthia enjoys spending time with her partner, two teenage sons, cat called Baxter and three chickens. She is also an avid cyclist. With growth of the Small Animal Department we are increasing the number of Small Animal Vets to ensure we provide you excellent care and service. 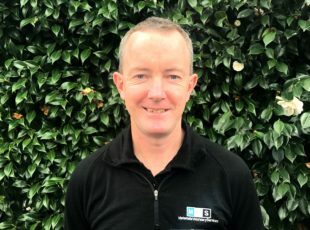 We are pleased to welcome Kylie Coates to the Small Animal Veterinary team. Kylie along with her husband Chris and their son, have moved to Matamata from Gisborne. Kylie graduated in New Zealand then spent time in Queensland Australia and Canada before returning home. Kylie has a special interest in Opthalmology (eyes) and Medicine. She is currently studying to gain her Masters in Small Animal Medicine. With winter approaching we are starting to see our older patients slowing down. 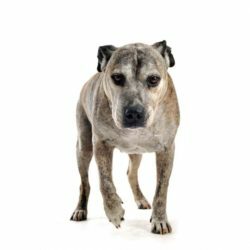 The most common cause for decreased mobility in older pets is osteoarthritis. Arthritis is extremely common in our pets, affecting 1 in 5 dogs and 3 in 10 cats. Arthritis in pets is similar to that seen in people, caused by a degeneration of the joint where the cartilage is worn away leading to inflammation and pain. It is not possible to cure arthritis, but there are many ways to help manage and treat, that substantially improve the pain and quality of life. Providing a soft deep bed in a warm area and maintaining ideal body weight are easy ways to provide relief. Swimming dogs is a great way to provide exercise without overstressing the joints and can help with weight loss. Regular moderate exercise is beneficial because it helps maintain muscles and flexibility. Medications such as chondroitin, glucosamine, deer velvet and shark cartilage can help repair joint cartilage and prevent further damage. Pain relief medications help improve your pet’s quality of life and improve movement. If you think your pet shows any of the signs above, please don’t hesitate to get some advice on how best to make them more comfortable and mobile. 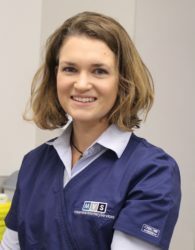 It is with sadness that after more than 7 years with MVS, we let you know Marit will be leaving us to head to the sunny Hawkes Bay to be closer to family. Her last day with us is 21st April 2017. 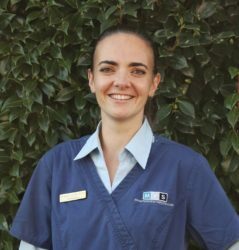 Marit has been a valued member of both the Farm and Small Animal teams and is very dedicated to providing great care and support to her patients and clients. Her friendly and bubbly personality will be missed around the office. We thank Marit for her hard work and commitment during her time at MVS and wish her all the best in her move.